Everyone who is a classic movie fan knows the tragic story of Judy Garland. She was one of the most talented entertainers of all-time, but she is also one of the most tragic. Many people do not know the story of Garland's sisters as well. From 1924 to about 1934 the trio of girls toured as the Gumm Sisters and then The Garland Sisters. 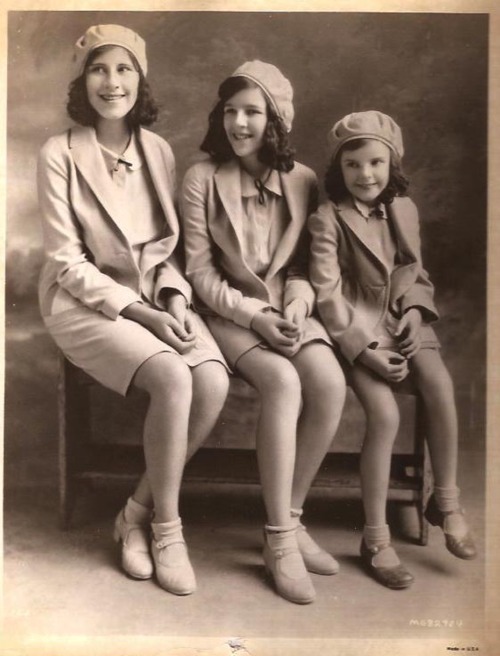 In 1928, the Gumm Sisters enrolled in a dance school run by Ethel Meglin, proprietress of the Meglin Kiddies dance troupe. They appeared with the troupe at its annual Christmas show. Through the Meglin Kiddies, they made their film debut in a 1929 short subject called The Big Revue, where they performed a song-and-dance number called "That's the good old sunny south". This was followed by appearances in two Vitaphone shorts the following year, A Holiday in Storyland (featuring Garland's first on-screen solo) and The Wedding of Jack and Jill. They next appeared together in Bubbles. Their final on-screen appearance came in 1935, in another short entitled La Fiesta de Santa Barbara. 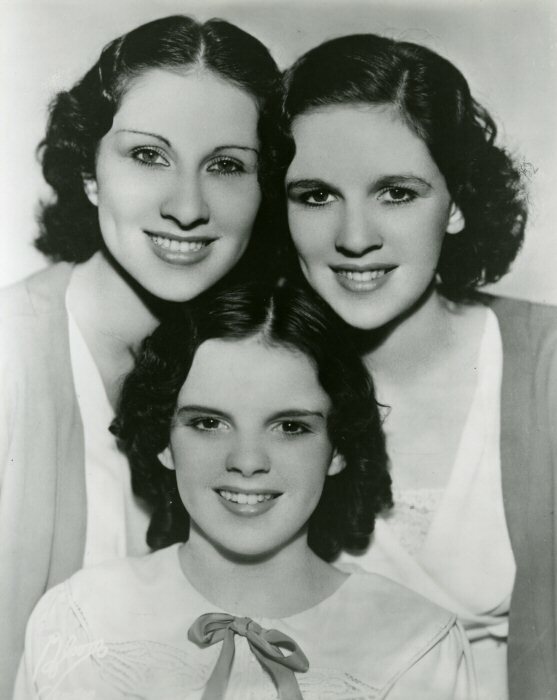 In 1934, the trio, who by then had been touring the vaudeville circuit as "The Gumm Sisters" for many years, performed in Chicago at the Oriental Theater with George Jessel. He encouraged the group to choose a more appealing name after "Gumm" was met with laughter from the audience. According to theatrical legend, their act was once erroneously billed at a Chicago theater as "The Glum Sisters". However that did not matter because when young Judy's star rose, the sisters faded into the back ground. 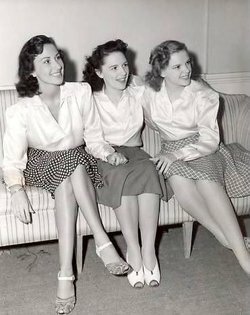 I was just looking for information on the Gumm Sisters yesterday. Totally on point that you posted something today. What are the odds? Good article. I've wondered about Judy's sisters, what became of them. Thank you for posting. It doesn't seem like anyone in this family (from Frank/Ethel down to Judaline) lived past 59. I've seen some sources say Mary Jane died of cancer. Not sure what is true. I'd like to learn more about the sisters and their relationship in the later years. What has become of Judaline's children if any.? I wish more could be known about Frank Gumm.Despite the marriage troubles I hear he was a good father. Such a sad life.The whole Gumm family had tragic stories. You always hear about Judy, and rightfully so, given the talent that she possessed. But it's nice to know what happened to the two older sisters. My Father was Virginia's Doctor before she died in Dallas, Tx. She gave my Dad an autographed book by Judy. Virginia died of Heart Disease following open heart surgery in Dallas, Texas. Sadly she died in the recovery room post-op. Thanks for posting that info on Virginia.